The Ambient Temple of Imagination is an open collective dedicated to activating the world's imagination through experimentation. Part ambient-trance group, part holistic listening-music healers, ATOI's Mystery School project was founded in 1992 by Richard Sun and Seofon in San Francisco as they pioneered chill-out sound environments for raves around the area. With introspective chill spaces, ritual performance art, and spoken-word poetry, ATOI focused on the public ceremonial exploration of magick and sound. Part ambient-trance group, part holistic listening-music healers, ATOI's Mystery School project was founded in 1992 by Richard Sun and Seofon in San Francisco as they pioneered chill-out sound environments for raves around the area. With introspective chill spaces, ritual performance art, and spoken-word poetry, ATOI focused on the public ceremonial exploration of magick and sound. As the ambient-house style entered dance music as a whole during the next few years, Sun continued developing ambient events and providing alternatives to dancing. 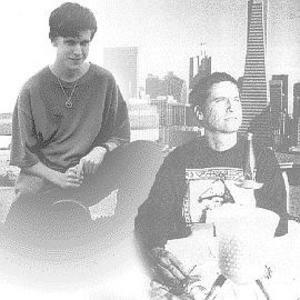 The duo also began recording, and released two albums for San Francisco's Silent Records, Mystery School and Sonic Acupuncture. Recorded live at a massive on Christmas of 1996, Planetary House Nation was released the following September. ATOI followed this two years later with Y2Kaos, a double-disc tour de force containing highlights from their sprawling full-length volumes along with new recordings and remixes. 2001 saw the beginning of a new era for ATOI with the release of Zero Point: Lessons in being nothing, an unprecedented collaboration with ambient music luminaries Vidna Obmana and Steve Roach. 2009 saw the return of ATOI after a long hiatus, with the release of &Lambda;TOI on the Belgian label Plague Recordings, as well as the virtual release of their remastered back-catalog on their Bandcamp site. The history of ATOI: Seofon explores the origins, ideas, and music of the Ambient Temple of Imagination (ATOI) through interviews and audio tracks.